A component of marijuana is one of the best treatments for a number of severe childhood illnesses. A groundbreaking new study published last week in the New England Journal of Medicine reported on the health benefits of cannabidiol for children with epilepsy. The randomized, double-blind, controlled study found that among children with Dravet syndrome taking cannabidiol, the decrease in the frequency of convulsive seizures was 23 percentage points greater than the decrease in seizures among children taking a placebo. Cannabidiol is one of hundreds of chemical components found in cannabis plants. Unlike THC, the most famous of marijuana’s compounds, CBD is nonhallucinogenic and nonaddictive. It doesn’t make you high. CBD can be extracted from hemp and sold as an oil. That’s what the pioneering Stanley Brothers of Boulder, Colo., did several years ago when they conceived and manufactured “Charlotte’s Web” — named after Charlotte Figi, a Colorado Springs girl with Dravet syndrome whose seizures dramatically decreased after using CBD. Until now, evidence of marijuana’s benefits for pediatric epilepsy patients has been largely anecdotal. The new CBD study, led by researchers at NYU Langone’s Comprehensive Epilepsy Center, is a hugely significant development because it uses the scientific gold standard of a randomized controlled trial. Other limited clinical trials involving CBD have explored the drug’s therapeutic benefits for pediatric patients with conditions ranging from anxiety to movement disorders to inflammatory diseases, multiple sclerosis, and cancer. To our surprise, the mainstream neurologist suggested Veronica try CBD. This doctor had other young patients who used CBD oil with positive results, but she could not directly prescribe it because of her hospital affiliation. So we did our own independent research, talked to a Colorado Springs family whose son had great success using CBD to treat his Crohn’s-disease symptoms, consulted with other medical professionals and friends — and entered a whole new world. Two physicians signed off on our daughter’s application for a medical-marijuana card. She became one of more than 360 children under 18 to join Colorado’s medical-marijuana registry in 2015. For Veronica, cannabidiol provided more relief than all the other mainstream pharmaceutical interventions she had endured, and without the scary side effects. For Veronica, CBD provided more relief than all the other mainstream pharmaceutical interventions she had endured, and without the scary side effects. But ultimately, it was a temporary remedy for her complicated basket of neurological and physiological conditions. We were glad for the chance to try CBD at the recommendation of medical professionals, and glad that so many other families are having success with it. Our experience showed us the importance of increasing therapeutic choices in the marketplace for all families — and trusting doctors and patients to figure out what works best. It flies in the face of current science to classify CBD oil as a Schedule I drug, as the feds did at the end of 2016. Nor does it make sense to draw the line at CBD if some patients and doctors believe that the benefits of using THC therapeutically outweigh the potential harm. 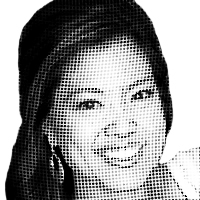 — Michelle Malkin is the host of “Michelle Malkin Investigates” on CRTV.com. Her e-mail address is writemalkin@gmail.com. Copyright © 2017 Creators.com.